The prospect of shifting from using a combination of vehicle registration fees, fuel taxes and general revenues to pay for roads, to a system of road pricing, which would charge vehicle users only for the amount of time they travel on expensive and congested roadways has provoked claims that its somehow inequitable. Last week, we took a look at the average incomes of people who drive to work at peak hours, compared to those who walk, bike or take transit. Peak hour drivers have average household incomes nearly double those of other commuters. On average, road pricing systems that employ peak hour fees will tend to put more of the burden of paying for roads on those with higher incomes. One of the assumptions of those who question the “fairness” of road pricing is the notion that somehow our current system of paying for roads is a fair one. But what’s equitable about our current system of paying for roads? Not much, as it turns out. Today, we’ll take a close look at a principal way that many states pay for road: vehicle registration fees. In Oregon, for example vehicle registration fees account for about 35 percent of the roughly $900 million the state collects annually in fees on passenger vehicles and light trucks. In Oregon and many other states, these registration fees or “car tabs” are flat fees that aren’t related to a vehicle’s value, or how much its driven, or how much wear and tear in causes on public roadways. Two of the foremost principles of public finance are the “ability to pay” principle and the “benefit” principle. The ability to pay principle means those with higher levels of income ought to be expected to pay more toward the cost of public services than those with more limited means. The benefit principle means that costs ought to be allocated to people in proportion to the benefit they receive from public services. Fixed, per vehicle registration fees violate both these tenets of public finance. Vehicle fees aren’t related at all to how much damage a vehicle does to the roadway (a proxy for repair and maintenance costs), nor are they related to the income or ability to pay of the vehicle owner. To show how inequitable this can be, let’s look at a particular case in point: two car-owners in the Portland metro area. One is a City of Portland resident who owns a 15-year old Subaru Outback; the other is a resident of suburban Clackamas County who owns a nearly new Chevrolet Suburban. 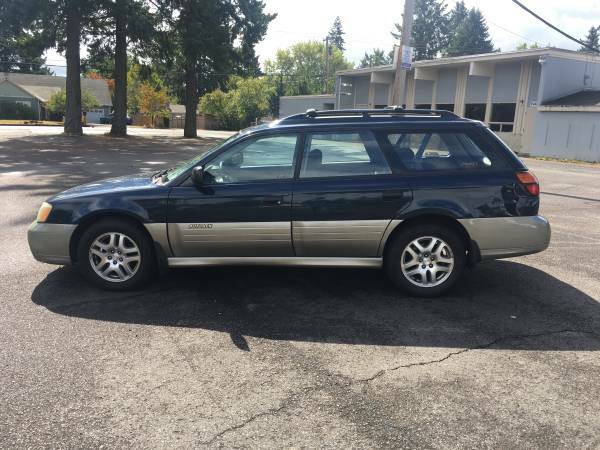 The Portland resident lives close to most of her common destinations, and has good access to transit and bikeways, and so drives her aging Subaru about 6,000 miles per year. The Suburban-owning suburbanite has to commute a long distance to work, and drive to most common destinations, and ends up putting about 15,000 miles on her vehicle. (We’ve chosen our two examples to represent some of the most blatant inequities in the current system; as it turns out, Multnomah County’s local fee is primarily to pay for a bridge across the Willamette River that’s used both by residents of Multnomah and Clackamas Counties; but Clackamas County declined to impose a registration fee on its residents). Here are our two sample vehicles. In Oregon, all vehicles currently pay a flat registration fee. In most counties, vehicles pay just the state fee; in Multnomah County, where Portland is situated, there’s an additional local registration fee, collected by the state. We’ve gathered data from current Craigslist advertisements for the two different vehicles shown below. Here’s the annual cost of registering our two vehicles, in 2017. The 2002 Subaru pays a $62 fee per year; its Suburban counterpart pays a $43 fee. How do these fees relate the their owner’s ability to pay and their use of the roadway? First, as a share of each vehicle’s value, there’s a huge disparity. The Subaru’s annual registration fee works out to about 1.6 percent of its value; the Suburban is taxed at a rate of just 8 one-hundredths of one percent of value–about 20 times less. In general, there’s a strong relationship between the value of vehicles owned and personal income, so viewed from the perspective of ability to pay, flat vehicle registration fees are highly regressive. If registration fees in Oregon were tied to a vehicle’s value and the Suburban owner paid the same rate as the Subaru owner does today, her registration fee would be over $800, rather than $43. A second way to look at registration fees is to work out how much per mile driven each vehicle owner is asked to pay. As a practical matter, the cost of vehicle registration per additional mile driven is zero. But let’s focus on how much money state and local governments are collecting when visualized on a per mile basis. The Subaru driver, who travels 6,000 miles per year, pays a vehicle registration fee that works out to about 1 cent per mile. In contrast, the Suburban driver (living in a suburban county with a lower annual fee) who drives 15,000 miles per year, pays just three-tenths of one cent per mile. So the net effect of fixed, per vehicle registration fees is to load more of the costs of driving on those who burden the system least, and effectively subsidize those who drive the most. When people talk about road financing, we usually focus on the gas tax. But for those who drive fuel efficient vehicles relatively few miles per year, the vehicle registration fee is actually almost as big a cost as the gas tax. Oregon currently charges a 30 cent per gallon state gas tax. Our Subaru driver, going 6,000 miles per year at 25 miles per gallon buys about 240 gallons of gasoline annually, and pays a total state gas tax of $72–only $10 more than her registration fee. 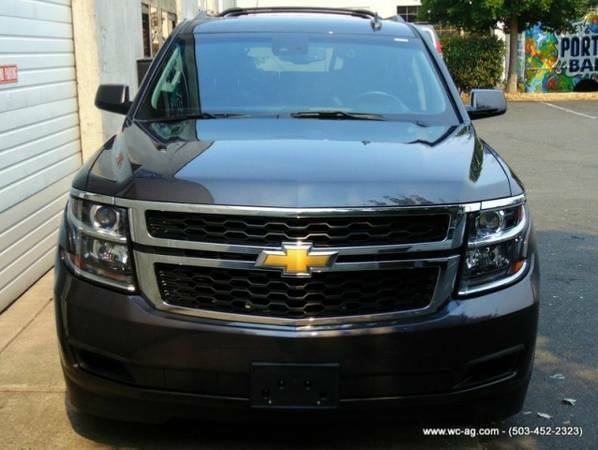 The violation of the “benefit” principle by the flat registration fee is amplified by the fact that larger vehicles cause dramatically more wear and tear on pavement than lighter ones. Estimates vary, but a good rule of thumb is that road wear increases with the fourth power of the weight of a vehicle. This means that a 5,600 pound Suburban causes about ten times as much road wear as a 3,100 pound suburban. (The math: 5,600 raised the the fourth power is about ten times 3,100 raised to the fourth power). And in our example, since the Suburban is driven three times as many miles as the Subaru, the combination of its greater weight and more driving means that on an annual basis its doing 30 times as much damage to the roadway. (And we’ll completely ignore whether the Suburban has studded tires, which collectively do an estimated $50 million in damage to Oregon roadways each year). Whether we look at it from the standpoint of ability to pay or from the standpoint of the benefit principle, there’s little that’s fair about the system of charging flat registration fees that bear no relationship to a vehicle’s value, how much its driven, and how much wear and tear it causes to the roadway. It’s reasonable to ask whether any new proposed system of road pricing is equitable; but if we apply the same test to major features of the existing system, we find it wanting to an even greater degree. If we’re really interested in making the road pricing system fairer–especially to those low and moderate income households with older, less valuable cars, who drive shorter distances–we ought to move away from flat per vehicle fees, to charges that are related to how much people drive, and how much wear and tear their cars cause to the roadway.